House Select Investigative Panel on Infant Lives. Hern talks about George Tiller’s murder in 2009. Photo via AP. 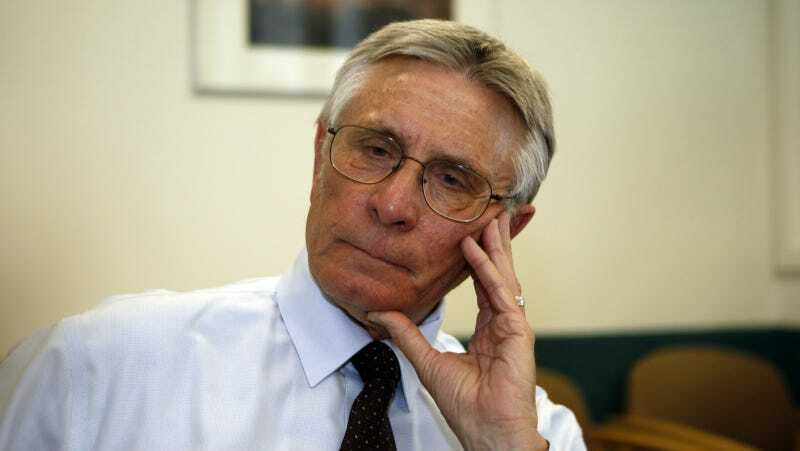 Dr. Warren Hern, the Colorado doctor who’s one of the few in the United States willing and trained to perform late-term abortions, is being investigated by an openly anti-abortion Congressional panel. Hern told a Boulder newspaper that the investigation is effectively painting “a target” on his back, and could lead to an anti-abortion zealot murdering him. Everyone treated us with respect and sensitivity. There’s a lot of people saying “You’re doing the right thing,” which is something that we hadn’t really heard yet. It is an empowering place: there are pamphlets there that say, “You’re a woman. You know what’s best for you.” They’re just there to help you get through the worst day of your life as easily as possible, basically. That’s really how it felt. According to a letter from Rep. Marsha Blackburn that Hern provided to the Daily Camera, the panel is seeking information on the procurement and transfer of fetal tissue, whether Hern has been paid for tissue and whether he or any of his staff has held positions at an institute that receives such tissue from his clinic. That was certainly the case with Dr. George Tiller, who was the subject of legal harassment by anti-abortion groups as well as a media blitz by Fox Host Bill O’Reilly, who referred to him on air as “Tiller the baby killer” and suggested there was “a special place in hell” for him in dozens of segments. Tiller was murdered on the steps of his church by Scott Roeder, an anti-abortion “activist” who had attended a trial against Tiller where he was accused—and acquitted—of performing unlawful procedures at his clinic. Donations to fund late-term abortions can be made here, and a check to Dr. Hern’s clinic can be sent to this address. Nobody trained me. There have been no abortion training programs until recently. I have developed the techniques, instruments, and protocols for second trimester and later abortion over the past 40+ years, and these instruments and protocols are used by other physicians. Unfortunately, I have been excluded from these new training programs because my work is controversial and politically charged. But that’s another story.